A mainstay in heart-healthy Mediterranean cuisine, olive oil is a fat taken from the fruit of the olive tree. It is a clear, thick oil that ranges in color from a light golden yellow to a dark green. 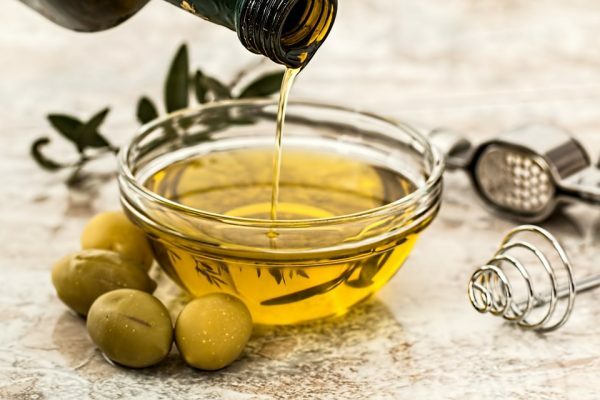 According to MedicalNewsToday.com, olive oil is not only used in cooking, but also in cosmetics, medicine, hygiene products, and even fuel for traditional lamps. Olive oil comes in various grades, including extra virgin olive oil, virgin olive oil, and pomace olive oil. Extra virgin olive oil is the highest quality, and does not undergo any chemical or heat treatment. Olive oil is high in monounsaturated fatty acids, which are considered a healthy fat. Olive oil has a number of nutritional and therapeutic uses. The oil is most known for its heart-healthy properties. It has been found that regions where olive oil is a staple show relatively lower rates of heart disease and stroke compared to other areas, StyleCraze.com reported. This could be due to the low levels of saturated and polyunsaturated fats, which keep blood cholesterol levels in check. At the same time, the oil’s amount of monounsaturated fat promotes good HDL cholesterol. The monounsaturated fats in olive oil also help manage blood sugar levels, lowering the risk of diabetes. Other studies have found a correlation between olive oil consumption and lower levels of breast cancer — specifically, women who participated in a clinical trial in Spain were shown to be 62 percent less likely to get breast cancer. A certain compound found in olive leaf may be responsible for the oil’s potential cancer-fighting properties. Olive oil consumption has been associated with healthier bones. A study has found that those who consume more olive oil have higher levels of osteocalcin protein, which is a good indicator of strong bones. The oil has been found to improve brain function, particularly when it comes to learning and memory. This means it may be effective in preventing Alzheimer’s disease and other degenerative diseases that affect cognition. Rich in vitamin E, olive oil promotes healthy skin. It can be used to treat dryness, inflammation and acne, and prevent ailments such as psoriasis and skin cancer. Due to the vitamin E, olive oil also keeps the hair healthy and moisturized. Olive oil is very easy to incorporate into one’s diet. It is used as a base oil in many recipes, and has a beautiful olive flavor that adds a subtle fruity taste to many dishes. According to FoodRepublic.com, it can be used to saute vegetables and meat for pasta dishes, sprinkled as a dressing on salads, and used as a dip for bread. Olive oil can also be used topically. As a moisturizer, it can be spread directly on the skin, or brushed through hair. It can also be mixed with other ingredients such as honey and sugar to create face masks and scrubs. Olive oil prevents heart disease and stroke. Olive oil may prevent breast cancer. Olive oil promotes healthier bones. It may be able to prevent Alzheimer’s disease. Olive oil treats skin dryness, inflammation, and acne. It can prevent psoriasis and skin cancer.